If you haven’t checked out the Chicago Cubs’ YouTube channel lately, you may wanna click on that blue link I just dropped and give it a look or three. They’ve updated the channel with some great new content in an effort to build towards the debut of their new Marquee Network. 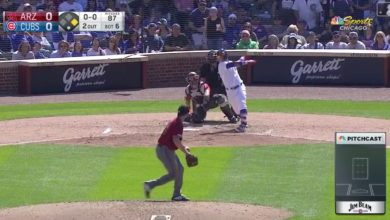 Their latest offering is a nice combination of video clips showing the magnificence of Javy Báez and his defensive prowess as he lays down some sick tags. Enjoy! Jon Ferlise began his writing career as the editor and lead writer at Cubs Kingdom. He is a life-long, passionate Cubs fan who aims to bring you the most up-to-date and relevant Cubs news and commentary every day. You can also find him at leftmind.com.